Conversations you have in the hot pools at Ngawha Springs, in the north of New Zealand, have an air of unreality about them. Precisely because they are real. People say what they think without any attempt at manipulating or massaging the message. These conversations can be as informative as they are startling. You look at life right in the eye, and then are left to ponder what to do about it. Rio+20 was a world in denial, confused by all the smoke and mirrors of green economics, and completely lacking the honesty you find at Ngawha Springs. At UNCED in 1992 we were eyeballing life and getting on with it. Those of us involved in ending the Cold War believed that anything was possible, and sorting out the environmental mess was just a process of getting on with the job. Tough, but possible. We knew you had to be focused and to see clearly. Rio+20 seemed to be only pretending to be concerned about the environment. Rather like those academic conferences where participants are focused on advancing their careers rather than changing the world. Before UNCED 1992 we had done our homework, and afterwards we followed through on what had been achieved. In Rio we convinced Susan Maxman to bring the issues forward to the UIA/AIA Congress the following year, and New Zealand played a leading role in that Congress. Back home the 1993 Papatuanuku Conference polarised the architectural profession. The seeds for Enviroschools were planted. All over the world Agenda 21 offices were opened up as local governments everywhere tackled the issues we had raised. The decision makers at Rio+20 seemed in contrast to have lost touch with the realities of both the natural and the built environment. Our Environment Minister Amy Adams, for example, went all the way to Rio to say that there were important domestic imperatives for protecting oceans, such as fishing. Not “from fishing” apparently. It seemed that it was the killing she enjoyed. Meanwhile “The World Bank was seeking an initial $250 million of funding which it would use to leverage $1.2 billion from businesses, NGOs and other organisations.” Did they really mean that volunteer NGOs were now to take time out from protecting the environment to provide money for the fat cats in the World Bank? What the money would be used for was not clear. Indeed nothing at Rio+20 was very clear. It was just a gigantic public relations junket. A significant negative cost to the environment. The World Bank had launched their Global Partnership for Oceans last February, but only eight countries signed up, so that was a fizzer. New Zealand was one of those countries, but it would seem we did so just to get some political mileage. At Rio+20 “In a speech to the summit Amy Adams proudly spoke of the 8% of New Zealand’s territorial waters protected by reserves. Green MP Kennedy Graham, who also travelled to Rio de Janeiro, pointed out that just 0.41% of the country’s Exclusive Economic Zone was protected.” Debating statistics became just a cover for opening up Antarctica waters for oil exploration or destroying what was left of the Kermadec Trench. What Rio+20 really did was to reaffirm the power-base which was supporting both the architecture of power and the way in which it was destroying the natural environment. Gwynne Dyer rued that “few leaders of the main powers even bothered to attend.” They did not need to. Hundreds of large corporations were represented at Rio+20 and they came away happier than anyone else. Business as usual had been confirmed. Rio+20 confirmed the right of multinationals to set the agendas, rather than governments. Even those we might have looked to for leadership seemed to have sold out. Janez Potocnik, the EU Environment Commissioner talked about how a green economy would lead to salvation. It felt as though John Key might have written it. “Rio+20 has turned into an epic failure. It has failed on equity, failed on ecology, and failed on economy,” said Kumi Naidou, executive director of Greenpeace. It did not however fail to provide carefully managed photo opportunities. Brittany Trilford from Wellington, 17, who had won the “Date with History” contest, spoke to all the world leaders at Rio+20, saying that 20 years ago “They made great promises, promises that, when I read them, still leave me feeling hopeful.” Great photos, but she became just a pawn in a very big game. Auckland Council used the police to remove the “Occupy Auckland” protestors because that avoided needing to look at the issues. The Telegraph Group noted that “twenty years ago the basic documents were drawn up by experts who packed them with content. This time they were drawn up by negotiators, meaning that they started close to the lowest common denominator and went downhill from there. There seems to be a growing lack of competence in the international process.” It was good for those of us involved with UNCED to be acknowledged, but not much consolation. One of the main failings of UNCED 1992 was the way in which NGOs were kept far away from the meeting of governments. By Istanbul 1996 I had changed all that. Everyone mingled together at the same pedestrianised venue. Rio+20 went back to the old format. The closed shop of lavish hotels and business-class flights for those in power, and NGOs talking to each other on the other side of town. “Other” has become the term for our time. Twenty years ago we were talking about “one world”. That idealism seemed to have been forgotten. As Rio+20 came to a close George, the last remaining Pinta Island tortoise, died on Santa Cruz Island. Another species came to an end. Rio+20 moved the world a little closer to the day when the human species too would quietly become extinct. It would be good news if we had at least agreed at Rio+20 to leave intact the wonderful planet we have been privileged to live on, and only set about destroying ourselves. The New Zealand government celebrated the end of Rio+20 by allowing mining exploration in the marine mammal sanctuaries that protect rare dolphins, whales and seals. 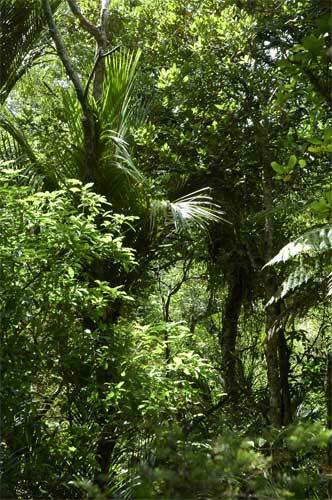 The New Zealand Conservation Minister, Kate Wilkinson, pointed out that steps would be taken to minimise harm. We could do with some of the honesty you find at Ngawha Springs. It’s the killing we enjoy. Published as Thoughts of an ousider in Cross Section, the magazine of the NZIA. Published in the August 2012 issue of Tui Motu. Pubiished in Australia on the Arch-Peace web site. Extracts published in Sweden in the Arc-Peace Newsletter. The following exchange was then published in the November 2012 issue of “Common Good”. I write about your feature article in Issue 62 by Tony Watkins concerning the Rio + 20 conference. He is claiming to present the truth, but does so with a narrow, biased, simplistic perspective that he provides a very distorted picture, promoting cynicism and despair in mankind’s ability to address our global challenges. The only outcome he could see was the official document – ignoring the enormous achievements of a gathering of close to 50 000 people from all over the world sharing their views and experiences through a host of presentations and displays. The official document was dismissed with a few flippant quotes, with no attempt to understand its substantial content. Amy Adam’s visit was reduced to saying one thing and corporations were only about destroying the environment. He also ignored the major contributions of emerging powers, shifting power away from the traditional ones, and the activities of business and cities in promoting better ways of living. Even within his narrow framework, his facts were sloppy. He dismissed the Global Partnership for Oceans in saying it had only 8 countries signed up, but by June it had 18 countries, and over 100 participants in all. Perhaps, above all, he ignored the apathy and ineffective initiatives of NZ NGOs that let our NZ Government get away with its pathetic response to this great opportunity to advance our international position and the cause of sustainability. Yes, Rio + 20 was a great disappointment in many respects, driven by the fundamental reality of our current political environment, nationally and internationally. Politics is basically about people and their relationships; a perspective which cannot be wished away. I would have thought that The Common Good is serving by helping us to understand how we can advance our future, not by destroying our faith in our ability to do so. In 1987 a small group of us decided that we would end the Cold War, because our governments had spent 40 years and achieved nothing. By November 1989 I was looking down the barrel of a Russian tank in the middle of the Velvet Revolution. It seems improbable but I was flown to Prague by the Kremlin. I took a chance. The Cold War did end. I survived. The fine print is not important. My point is that dramatic change is not only possible, but that it also depends on us all playing our part. Rio+20 made it very clear that our global environmental problems will not be solved by governments or businesses. It is over to you and me. The questions are tactical. I agree that we learn more from positive successes than negative failures. I agree that we need faith. I agree that dramatic global environmental change is both possible and essential. However you first need to identify your target. Don’t shoot the messenger.